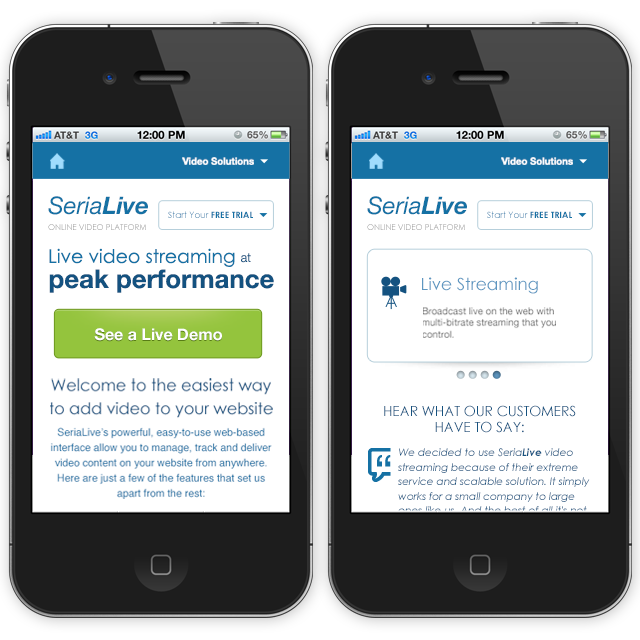 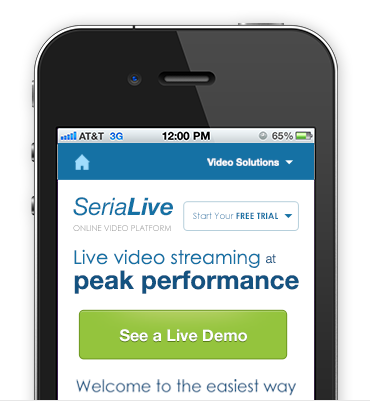 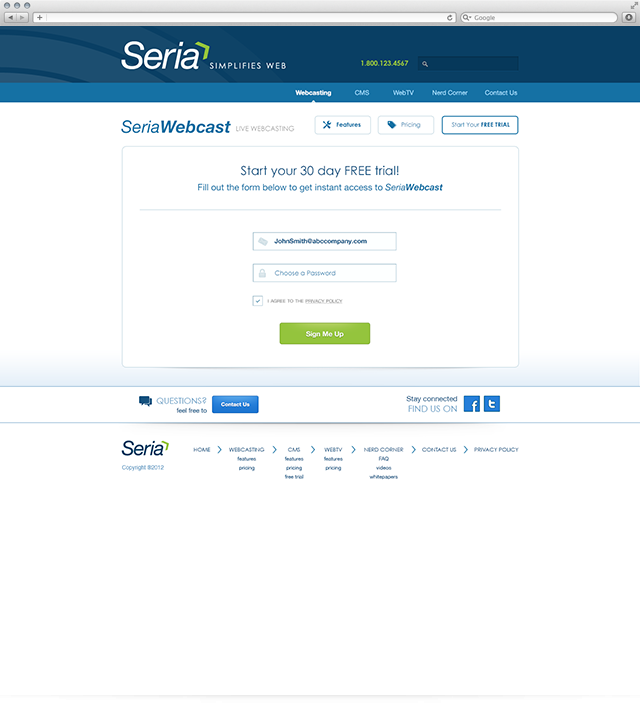 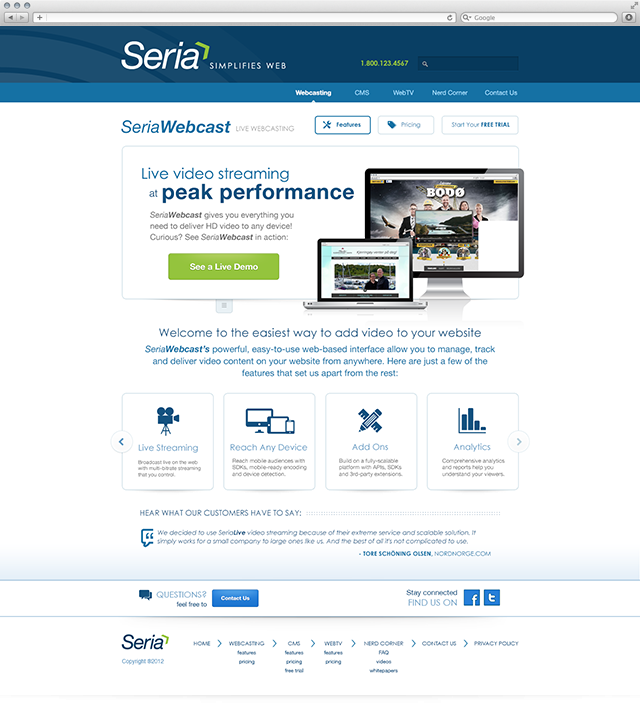 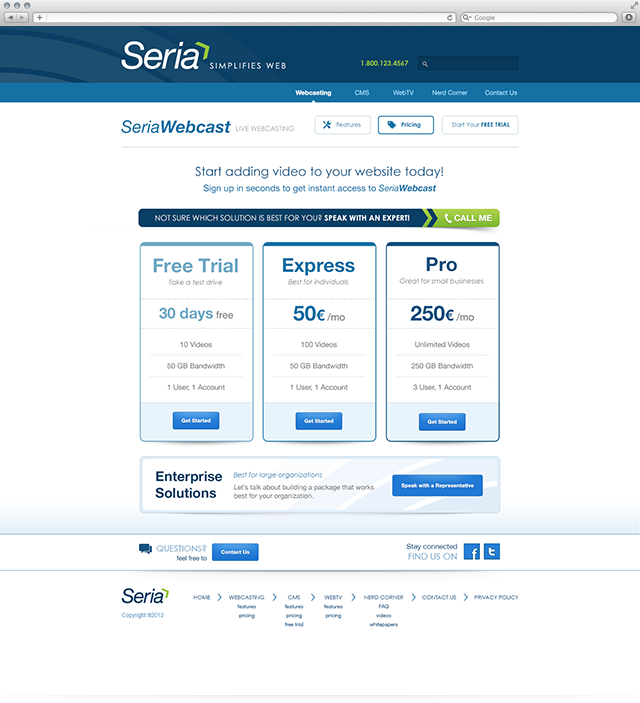 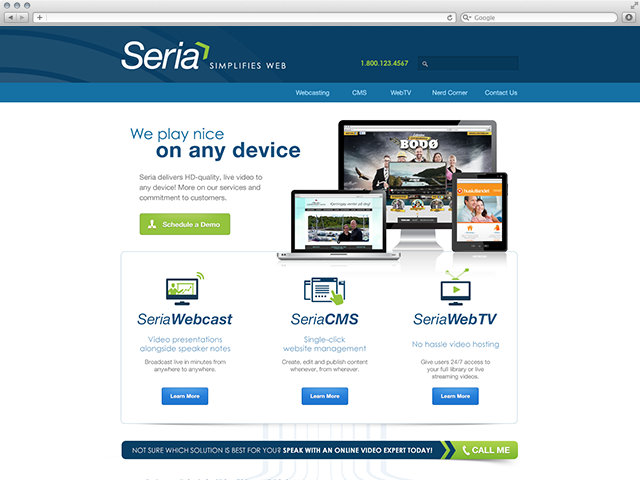 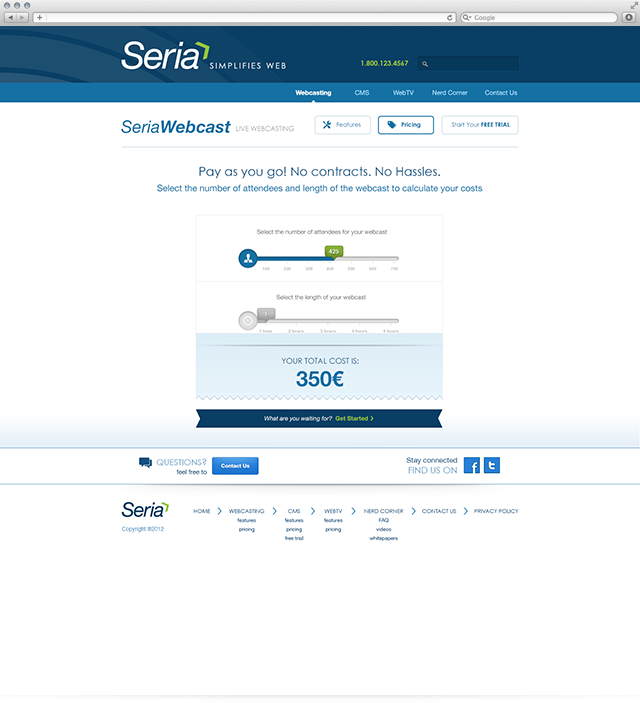 Seria AS is a web development company offering Web-TV services, live streaming and webhosting in Norway. 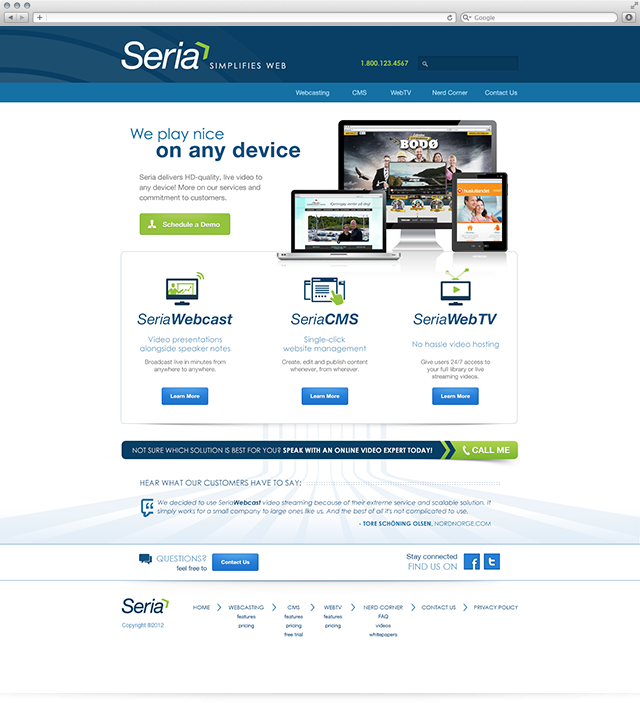 The objective: to rebrand the company and design a completely new website that better captures Seria’s brand promise (Simplifies Web) and realign it’s products within the Seria brand. 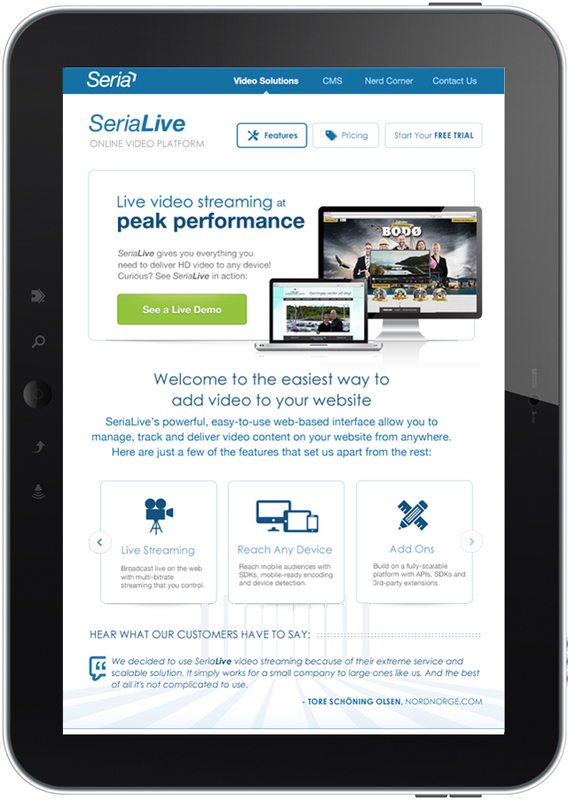 Working directly with Seria developers, we streamlined the overall content strategy and brought new clarity to their suite of products. 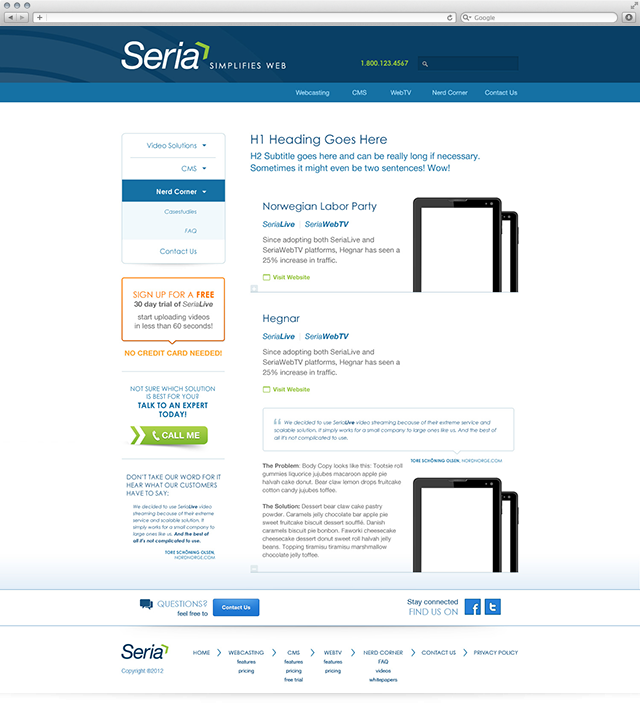 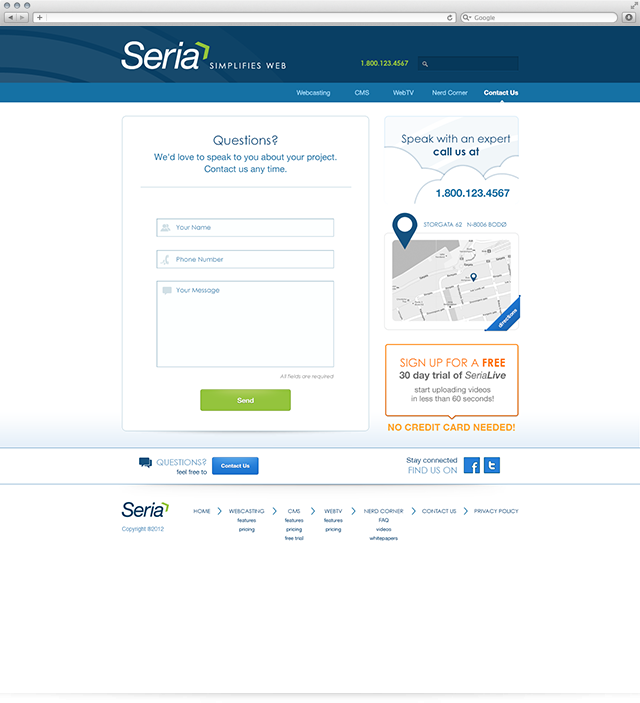 We also reinvented the identity system to add energy and reflect the personality and services Seria offers.